Cotton Maxi Dress. 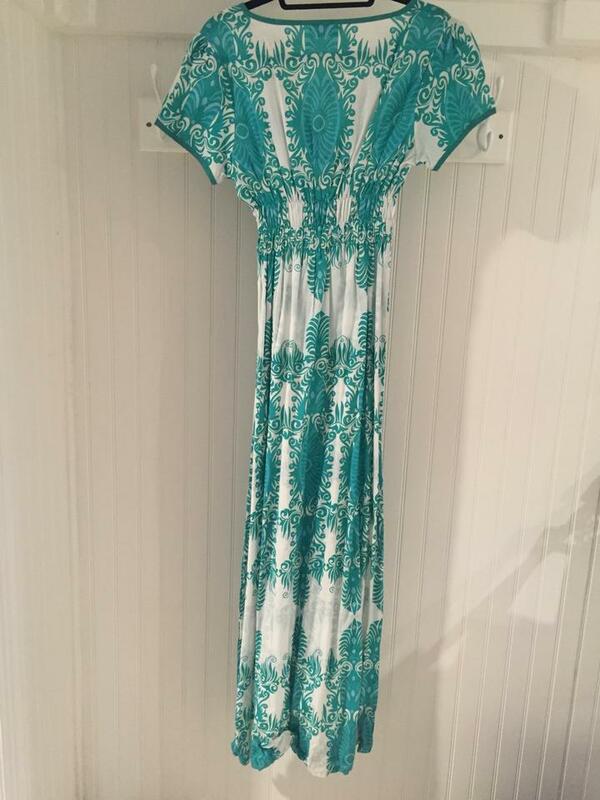 White with a teal print. V, lace-up neckline. 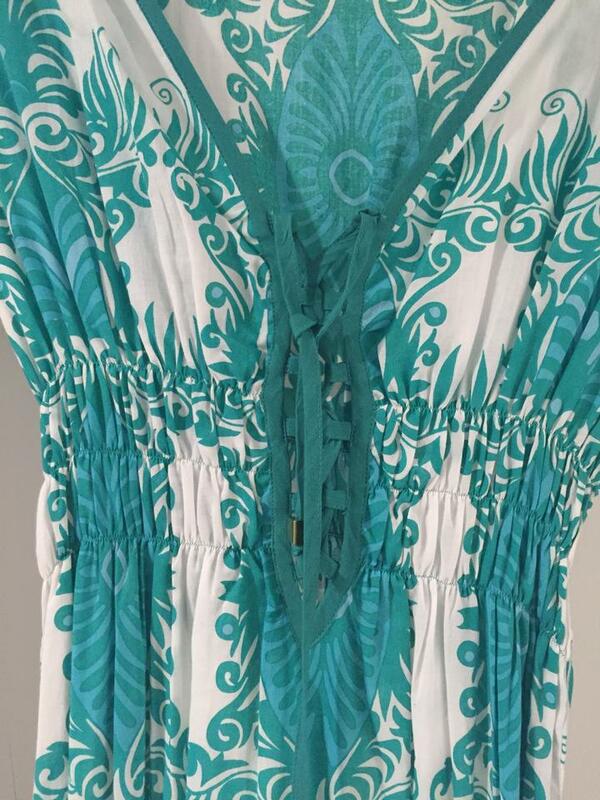 Perfect as a swimsuit cover-up for the beach or by the pool.